Filip took me on the "challenging" version of the Karlstejn and Velka Amerika hike, and it was an absolutely great day. 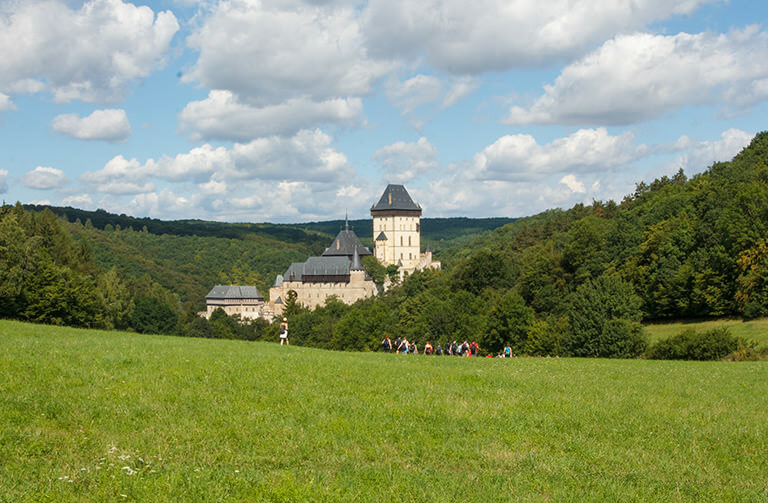 We covered a lot of ground, but it didn't feel that long as we saw great sites like Karlstejn Castle, the limestone quarries, and an amazing overlook above the small village of Svaty Jan pod Skalou. Plus I learned a lot from Filip about the beautiful natural landscape and Czech culture. Even though I was the only person that day, Filip took care of all the little details - meeting me at my flat, preparing a great lunch, knowing good places to stop, etc. After several days seeing sites in central Prague, this was the perfect opportunity to see a different side of Prague. I highly recommend Filip and his tours! This hiking tour will take you on the best one-day hike you can do near Prague. You will see the famous medieval castle Karlstejn and the old quarry Amerika which is also known as the "Czech Grand Canyon". 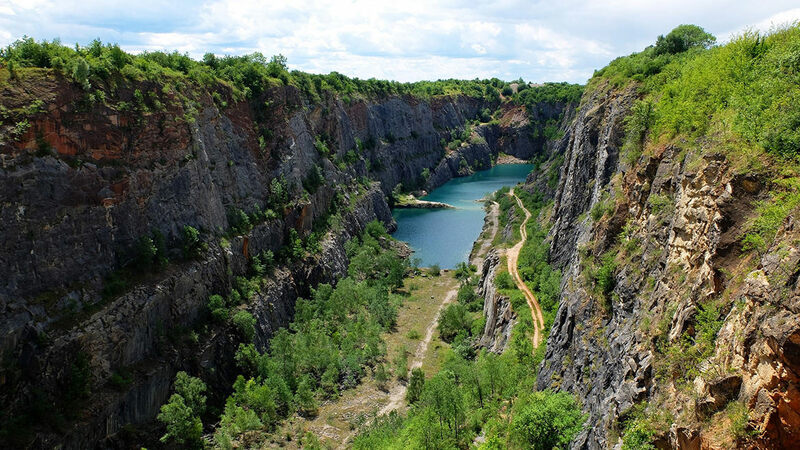 It is located in one of the most beautiful parts of our country called Bohemian Karst (Cesky kras). 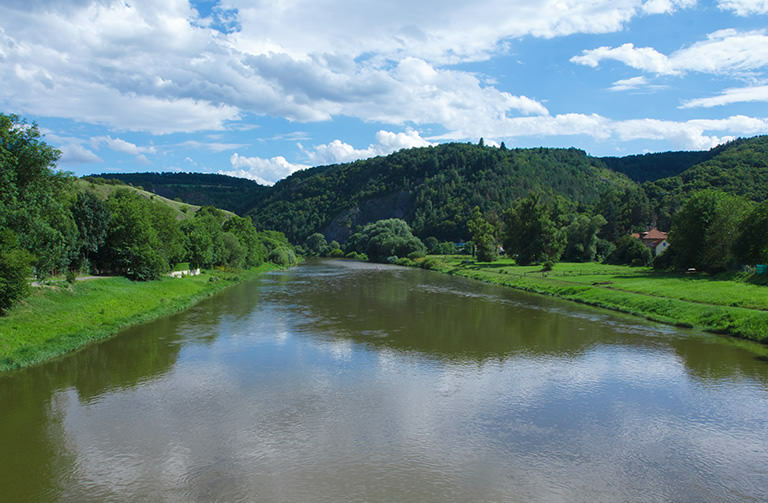 This natural protected area stretches along the valley of the Berounka river between south-western edge of Prague and the town of Beroun. Your guide will meet you directly at your accommodation. In case more than one party signed up for the same tour, the meeting point will be at Prague Main Train Station (directions will be provided). You will travel from Prague by train for about 30 minutes to the village where the hike starts. PLEASE NOTE: This trip does NOT include the tour of the castle. However, the exterior of the castle is a lot more impressive than its interiors. 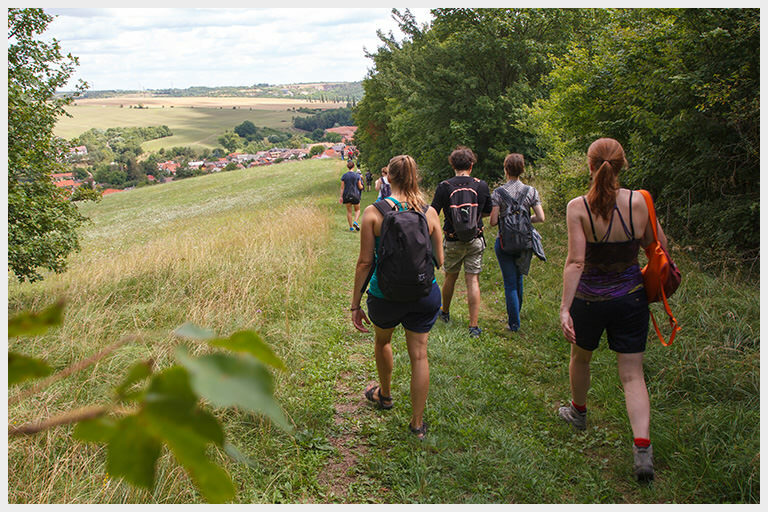 Hiking in the forests and meadows in the Cesky kras Natural Reserve.